East Coast Mechanical began with one man: Jose Ramirez. Today, that once small business has turned into a large one with over 120 service trucks operating in Southern Florida — but we are still proud to retain that local, family-owned work ethic. We pride ourselves on being involved in the local community, and we work hard to meet your air conditioning service needs in any way we can. When you need AC service in Stuart, FL, turn to East Coast Mechanical every time. Living in Stuart, FL means enduring hot temperatures for much of the year. But problems still occur, and you may end up needing AC repair at a moment’s notice. It’s at times like these that you want a reliable AC repair company you can count on: East Coast Mechanical. We offer flexible scheduled service hours to accommodate your schedule, or you can call us at absolutely any time for our 24-hour emergency AC repair services as well! In addition to AC repair, East Coast Mechanical also offers a full range of AC installation and replacement services. Need to replace an old and inefficient system? 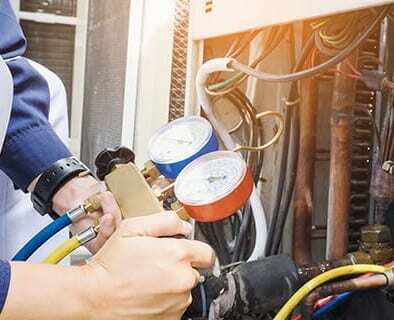 Just give East Coast Mechanical a call and our expert staff will find a system that fits your budget and your home’s needs, and provide an installation of the utmost craftsmanship and professionalism! East Coast Mechanical offers year-round air conditioning maintenance and tune-up options for our Stuart customers. East Coast Mechanical is your go-to AC company in Stuart, FL. We’ve been in this business for over 30 years doing what we do best and fix: perform air conditioning work at the highest level. Give us a call today!